Burning Man 2018! JUST WOW! We want to start off by saying thank you! Thank you to each and every amazing person who stopped by to experience Soundscape VR and thank you to the amazing Black Rock City. 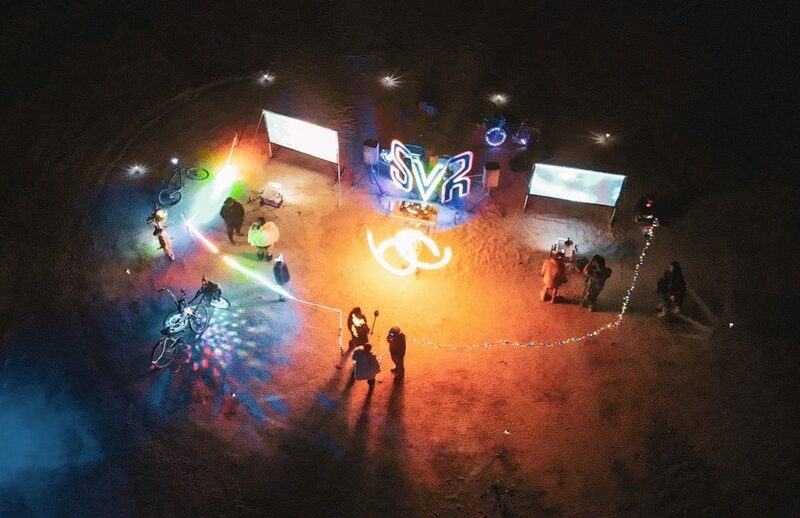 Having our Soundscape VR art installation on the Playa was an absolute honor, and being the only VR art installation at Burning Man 2018 was spectacular. Every single person that came by the Soundscape VR installation had a mind-bending incredible audio-visual experience that they will never forget. The constant outpouring of joy-filled moments in virtual reality, followed by love and affection from people from around the world where some of the most beautiful things we’ve ever been a part of here at Soundscape. Watching people flying through our immersive sound reactive worlds, painting their friend’s names and favorite cartoon characters with light, and just observing our next level sound reactive lighting was so wonderful to witness. Thanks to everyone for bringing their friends, for coming back for 2nd and 3rd nights in a row, and for just dancing and spending time with us on the Playa! Our Soundscape VR team had a fantastic time and we already can’t wait for next year!